At MHA Larking Gowen, we see ourselves as more than purely chartered accountants. We'll look after all your tax and finance issues, and we'll be trusted business advisors with a friendly one-to-one service you can count on. Whatever you do, whether you're a large organisation or an individual, MHA Larking Gowen can help you protect your wealth and reach your financial goals. "MHA Larking Gowen have been our key business advisor for over 25 years. They really take the time to understand us and our business." Richard Coller, Pertwee and Back Ltd.
MHA Larking Gowen Corporate Finance and Leathes Prior invite you to a joint seminar. The seminar is aimed at business owners considering their future exit strategy. MHA Larking Gowen is proud to support Norwich-based charity, The Benjamin Foundation, with its Flight for Youth campaign. The charity is celebrating 25 years helping young people, in Norfolk and Suffolk, facing homelessness and other challenges. 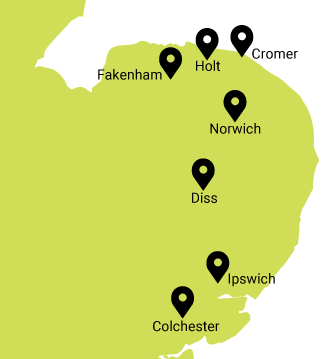 We have eight offices across East Anglia and, as a member of MHA, Larking Gowen is networked throughout the UK. MHA is a member of Baker Tilly International which has connections in 41 countries.